I got to thinking about what I knew when I was a teenager, perhaps because I wrote a piece for another blog about my expectations of my college students. Or perhaps because I met a high school performer who was totally unfamiliar with the word, “soliloquy” and, as with Proust’s Madeleines, I recalled something I rarely recall. In Sixth Grade, we read an abridged version of Hamlet out loud in class. I was Hamlet, starting off my lifetime of indecisiveness. And then, this past month. E. L. Doctorow died. Musical theatre fans seem most likely to know his name as the author of the novel, Ragtime, which was made into a rather remarkable musical. Me, I seem to take a perverse pleasure in having thoughts that are different than other people I know, so I went back to my adolescent discovery of The Book of Daniel. The Book of Daniel, I barely remember, had something to do with the son of convicted Americans who’d been spying for the Soviet Union. The reader muses on the legacy of Julius and Ethel Rosenberg even though Doctorow doesn’t use their names. The execution of the Rosenbergs was the result of The Trial of the Century. Except musical theatre fans believe the Harry Thaw case was The Trial of the Century. Because that’s what it says in Ragtime. And if you’re a lover of rhymes but not musicals – such as “If the glove don’t fit, you must acquit,” then you think the O.J. case was The Trial of the Century. Some of you, reading this page, remember that one. (I know I’ve at least one reader who remembers the Rosenberg trial.) But if you think O.J. Simpson got a lot of media coverage, it’s nothing in comparison to the Thaw murder of master architect Stanford White. So I say you’re wrong, WRONG, WRONG!!! – knowing that people who love rhymes but not musicals probably aren’t reading this. Back to this ordinary Jewish couple, parents, who were killed by a government at the height of the Red Scare, the Rosenbergs: key players in their trial were major parts of the lives of both my parents. My mother’s mother’s best friend was married to prosecutor Irving Saypol. My father, as a young lawyer, clerked for judge Irving Kaufman. That’s two separate relationships, since they were established before my parents met each other – and both Mom and Dad were horrified the Rosenbergs were put to death. I heard a lot about the case, and the Red Scare in general. Julius was likely guilty, but the entertainment industry blacklist, borne of a similar hysteria, affected innocents, with almost no exceptions. Thoughts about this fraught time in America percolated in my mind for years and years. There was a fascinating movie called The Front. It was filled with jokes, yet effectively dramatized the sad fate of blacklisted writers and an actor working on a 1950s television show. The closing credits showed the dates that many of the actors and behind-the-scenes creators had been blacklisted themselves. Given that so many movie makers had experienced the Witch Hunt, it’s surprising that there weren’t more movies about it. But what about a musical? Surprisingly – but good for them – very few musical writers had suffered due to McCarthyism. Arthur Laurents, who wrote the book for two of the best musicals ever, Gypsy and West Side Story, made it a plot point in his screenplay, The Way We Were. Jerome Robbins, who directed both Gypsy and West Side Story, had named names before the House Un-American Activities Committee, never apologizing for it. These were among the facts in my head when two of my comedy writing heroes, Mel Brooks and Neil Simon, came out with fictional portrayals of their early TV era days, writing for Sid Caesar. Brooks produced (but didn’t write) a film, My Favorite Year (later a musical) and Simon wrote a Broadway comedy, Laughter on the 23rd Floor. Fascinating and funny, I thought, but no mention of the scourge of the time and place? How did blacklisting get whitewashed? And so I set out to write a musical that was a little more truthful about how the HUAC had an awful impact on the funny folk who put on early TV variety shows like Sid Caesar’s. In doing research, I was fascinated by the machinations that led Lucille Ball to survive the discovery of her Communist Party membership card, while another popular sitcom star of the time, Philip Loeb, lost his job and eventually took his own life, unable to work. To get to the emotional truth of the situation, I chose not to write about Lucy or Loeb but a made-up TV star, writer and director, Such Good Friends. Remembering how The Front worked, I made sure to pack it with as many laughs as possible. And Such Good Friends enraptured an audience consisting of some people who’d lived through the era, and some people who didn’t know a thing about it. “Did this really happen?” young people asked. No, but something very much like it did. Are you Team Lippa or Team LaChiusa? So asked a critic covering the recent Encores concert presentation of Andrew Lippa’s Wild Party at City Center. He brings up a 15 year-old rivalry from an odd moment in musical theatre history: In 2000, two esteemed composer-lyricists, of similar age and experience, separately created musicals based on a Jazz Age narrative poem. The Wild Party, by Michael John LaChiusa, was produced on Broadway. The same spring, The Wild Party, by Andrew Lippa, was produced in a tiny space in the basement under City Center. Though both had short runs, I guess it’s natural to have a certain amount of fascination with the differences between the two musicals, and, for years before and after, these have been two writers to watch. As for me, I might as well declare right now: I’m Team Neither. I saw LaChiusa’s Wild Party on Broadway; ten years later I got to musical direct Lippa’s Wild Party (on a Broadway stage), which meant getting to know it intimately. (I didn’t catch last week’s concert, which involved authorial revisions.) In each Wild Party, there is no action, per se, and nobody to care about. To me it seems like some strange fad, this interest in musicals in which all the characters are horrible people. But let’s say that’s not a disastrous choice, for argument’s sake. In any show, the audience has to care what’s going to happen to people; we need a rooting interest in what happens next. In The Wild Party, nothing much happens, so our interest in what happens next is nearly non-existent. Lippa acted alone. LaChiusa had a co-librettist, Goerge C. Wolfe. Both musicals presented not a story, but a situation. A bickering couple, vaudeville performers, throws a party in an attempt to shoo away the blues. Guests arrive, one flirts with the hostess, a gun is drawn and fired. Unhappiness reigns triumphant. The end. There are moments that get expressed in song. And I’m happy to tell you that some of these songs are truly fabulous. Lippa writes many a crowd-pleaser, built on traditional structures, cresting in a climax and a button that wins applause. You can hear What Is It About Her? for instance, and dig its savagery. You can have a good time watching An Old-Fashioned Love Story. Belters like to wail the hell out of Life of the Party. (In that tiny basement, it was Idina Menzel. Can you imagine that?) My personal preference is for the quieter moments, like Poor Child and How Did We Come To This? and there’s no denying I had a lot of fun on A Wild Wild Party’s rendering of Genesis for the age of bathtub gin. But what it adds up to might be called Six Show-Stoppers In Search Of a Show. One pictures the author circling passages in the Joseph Moncure March poem and vowing to make the best song possible out of the moment. He may have succeeded, even, but what we should glean from this is that the act of amplifying stuff in song is very different from telling a story. A story relies on a certain amount of forward motion, and we in the audience usually need the songs to take us from Point A to Point B. Take a Look At Me Now – the title of one of Lippa’s songs, but it could have been the title of any – starts and ends at Point A. Very entertainingly, sure. Gets a nice hand. And then just sits there. The LaChiusa version does a better job of tossing dramatic balls in the air. The leading man, memorably played by the master of unsubtlety, Mandy Patinkin, is a blackface clown. That’s bound to provoke a huge visceral reaction in any modern audience. We cringe and recoil. And a lot of minds begin to race: Why have LaChiusa and Wolfe (who is black) chosen to give us a taste of a racist entertainment we all know once existed but wish didn’t? My mind wandered a lot, seeing the Broadway Wild Party, and yet I never figured out what, specifically, was being said with this troubling image. One of the things that bothers me about badly-crafted musicals is the stating of the obvious. That blackface clown is EVIL! – but I’d already figured that out. Drinking and taking drugs bring out the worst in people – thank you, Temperance Society. Did we really need to spend all this time saying these things? In LaChiusa’s intermissionless oeuvre, a huge amount of time is spent introducing party-goers. In what’s listed as the “Promenade of Guests” it seems a big song is given to an endless procession of uninteresting people. You can have a great cast, and fashion great numbers for them. But anybody’s bound to tire after three or four introductions. No show can survive twice as many or more. Another doorbell, another entering guest: these are not events, in the sense that any dramatic narrative is made up of events that unfold over time. If there’s too much time between events, or too few events to make up an evening, no quantity of show-stoppers is going to plug the hole in the story. We’re all eyeing the door, planning to escape the fetid fête, without saying goodbye. If I tell you I’m offended by something, here in this world of musical theatre, I’ll run the risk of seeming humorless. And what I really want to talk about today is spinach musicals: and they always risk seeming humorless. We need your help to bring an important, unresolved human rights issue into the light. If you care about human rights, if you believe in justice, please share this video with as many people as you can. And I would have happily gone on with my day, but saw that this had been posted by a new musical a friend of mine is in. What the hell? Soon I clicked my way to a crowd-funding request. Like many a charity, it had something to do with a societal ill. In this case, it had to do with the enslavement of Asian women by the Japanese army during World War Two. Your donation – should you choose to open up your heart and wallet – will help to fund a huge off-Broadway musical on the subject. Offended yet? My friend’s part of a cast of fifty. And those performers should be paid. Because they’re telling a sad but rarely-heard story of man’s perfidy from more the seventy years ago. Nowhere was it explained how the victims of Imperial Japanese villainy would benefit from your giving. This was a ploy to fund an unusually expensive new musical. So we need a palate-cleanser: let’s talk about spinach. As kids, we’re forced to eat the irony leaves because it’s supposed to be good for us. But the act of forcing virtuous food down our faces leaves a lot of disliking spinach, or vegetables in general. I happen to like spinach, and vegetables in general, but I have to tell you I’m fairly revolted by spinach musicals. Writers see some societal ill, write a musical about it, and expect me to be moved because, well, that societal ill firmly tugs on the heartstrings. Rather than coming up with a story that moves an audience, the perpetrators take something that’s already moving, throw it up on stage, and think they’ve done their job. Broadway’s about to see a show based on the true story of a slave-trader turned abolitionist who goes on to write the most famous American hymn (you know, the one the president recently sang). Then there’s going to be the stirring tuner about that time (World War Two, again) when America put its citizens of Japanese lineage in internment camps. Now, I know this is a matter of taste, but I can’t imagine purchasing a ticket to either of them. “Ick” to the nth degree. In the not-so-gay 90s, the sad-but-true musical was becoming something of a trend. Show after show would musicalize some depressing problem. I was reminded of a song from a Julius Monk revue about creating a musical about “man’s inhumanity to man.” I joked, at the time, that someday somebody would write something called Juvenile Cancer Ward, put dying kids on stage, and the ensuing cry-fest would be produced around the world. As the Spinach Farmers Association could tell you, it’s hard to market something that’s supposed to be good for you. This is particularly true in musical theatre, where, more times than not, audiences are hoping to have a few laughs. My own show that depicts a sad moment in history, Such Good Friends, kept audiences giggling from start to finish. Promoting it, though, I find it hard to escape the perception that a musical about blacklisting has to be depressing. You can claim I’m jealous, but I think my distaste for spinach musicals is related to my seeing so many that were unremittingly bleak. Real life – which may be bad at times – always contains moments of lightness and humor. Too many tales that concern the saddest of human experiences omit the jokes, and avoid any moments of light. I suspect some creators feel their subject is too serious to include a laugh here or there. Their laughless musicals therefore seem lifeless, unlike life. 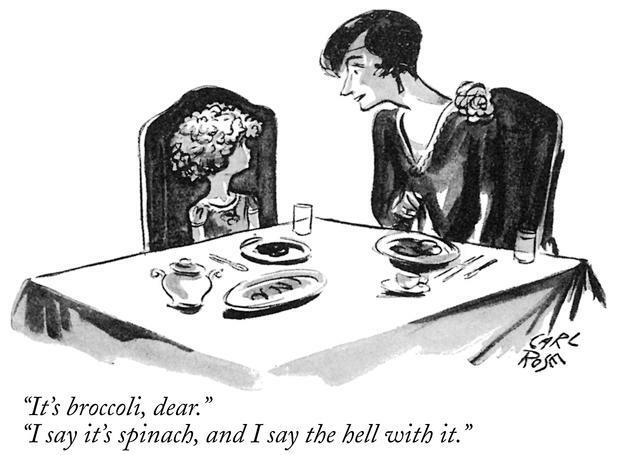 To quote a cartoon that inspired an Irving Berlin song, I say it’s spinach and to hell with it. Commenters explained what Sondheim meant to convey, that wishes don’t come free. If you think about it long enough – and, especially, if you read it on the page – you glean the idea that “free” is an alternative to “true” and that both thoughts start with “wishes come” and blah-blah-blah. The actual meaning isn’t what’s intriguing. It’s the fact that someone didn’t understand something, for years and years, in her favorite song. What’s up with that? To my way of thinking, if a lyric perplexes in the theatre, well, that’s one way of determining that it’s not a very good lyric. We go to the theatre to become emotionally involved with characters in a story. I love puzzles as much as the next guy, but I don’t attend shows to unravel the mystery of what’s being said. That activity takes me out of the story: I’m no longer reacting to what the characters are saying; I’m pondering what the lyricist is saying. And maybe that’s just me, because I’m a lyricist. But I don’t know. Original Poster: Thanks, everyone! Your explanations make a lot of sense, and I’m surprised I never got it before! 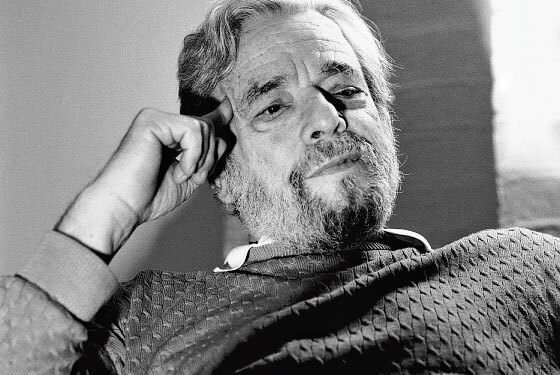 I’m such a big Sondheim fan and have seen most of his shows multiple times, and performed in several. This lyric always stumped me, though, til tonight. Now I can finally sleep better! Someone Else: I have seen ITW dozens of times, performed in it twice and directed it once. Every time I am involved in it something new is revealed to me. I think that might be the measure of great art. In songwriting, the chief pacesetter is the composer. Of course, both collaborators must agree to everything, but usually the words are hitting us in rhythms chosen as the music is written. So, in this Sondheim passage – which never struck me as particularly dense – part of what makes the meaning hard for some to get is the composer’s choice to put “true” on a long note. By the time we’re done hearing it, we forget the “Wishes come” part. Imagine the same lyric set on the music he used for the first phrase, “Careful the wish you make.” The faster setting of “Wishes come true not free” could have clarified what some fans of the song found murky. Others chiming in: I think one of the most important things from a lyric is that it makes you think. Otherwise, we just sit there being spoon fed the composers meaning. No, I like a little mystery. I love shows that take more than a millisecond for me to completely understand. Perhaps Sondheim wants to give those willing to look deeper a nice little treat for their efforts. I go to musicals to be moved by the emotions characters go through. If I’m asking “What did he just say?” it’s distracting. The lyricists I most admire – Harnick, Hart, Loesser, Hammerstein, Maltby, Fields – never make me wonder. And then, as you might have guessed, responders weighed in on how they love wondering stuff while watching musicals. And then it struck me: These are Sondheim cultists. If their God’s been obtuse, well, then, it’s good to be obtuse, because, after all, he’s God and God is infallible. Yet Sondheim’s said, on numerous occasions, that theatre lyrics exist in time and therefore are the opposite of poetry. They can’t afford to be obtuse; they must be immediately understood. This is something the Great One always strives for, but he doesn’t achieve it all the time. And when meaning’s a bit obscure, that’s not him throwing a careful listener a little treat; that’s him not living up to his own standards. Clarity is capital. A confused audience is not a happy audience. I hope (as always) I’ve made myself clear. You are currently browsing the There's Gotta Be a Song blog archives for July, 2015.